The Apple iMac G5 is a sleek 17-inch desktop computer that is as powerful as it is beautiful. A 1.80 GHz 64-bit PowerPC G5 processor ensures that this Apple desktop delivers better performance while performing demanding tasks. With 160 GB storage capacity you can easily store your photos, videos, and important documents on this 17-inch desktop. 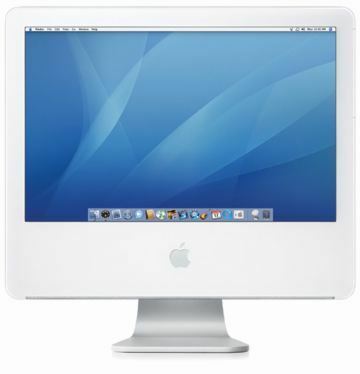 The Apple iMac G5 features two FireWire 400, three USB 2.0, and two USB 1.1 ports for versatile connectivity with external devices. Moreover, this Apple desktop has a gorgeous widescreen display with a 1680x1050 pixel resolution for eye-popping visuals. Each iMac includes a free 60 day RTB warranty, issued by Maple computers. For further details about the warranty and what is included, please visit our warranty information pages here. Grade A/B – Great Condition, works perfectly with a possibility of only the slightest marks or small scratches.